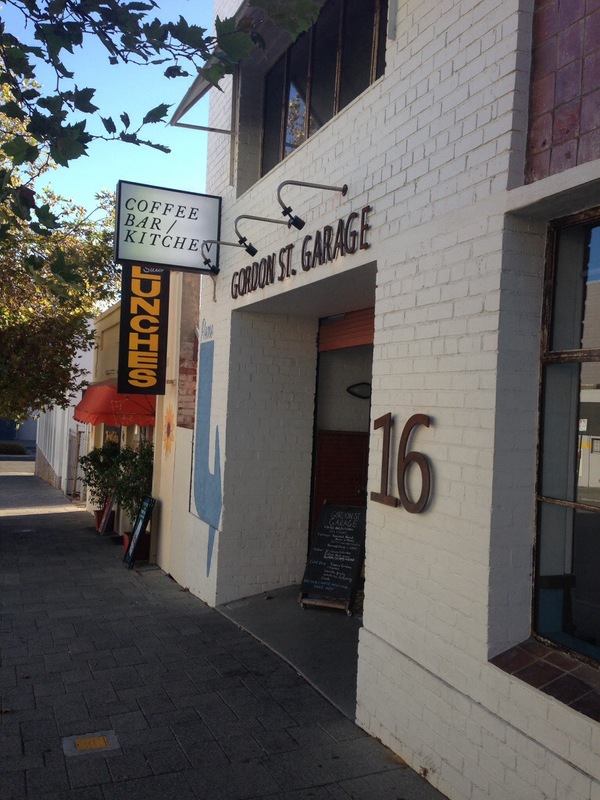 Ah Gordon Street Garage, our old favourite for interesting, reliably good food and coffee, but still with a relaxed, hipster vibe. As with previous visits the coffee was divine. 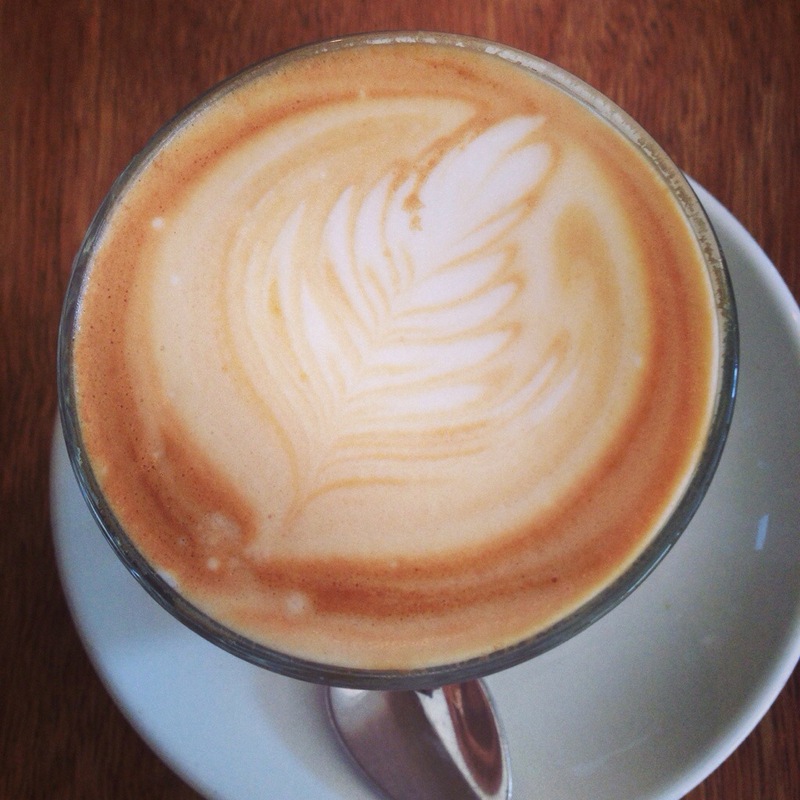 Gordon Street Garage do a strong and interesting brew and their latte art is lovely. We ordered second coffees and were just as impressed, the ability to make consistently good coffee is a real skill, and not too many venues can pass the two coffee test. 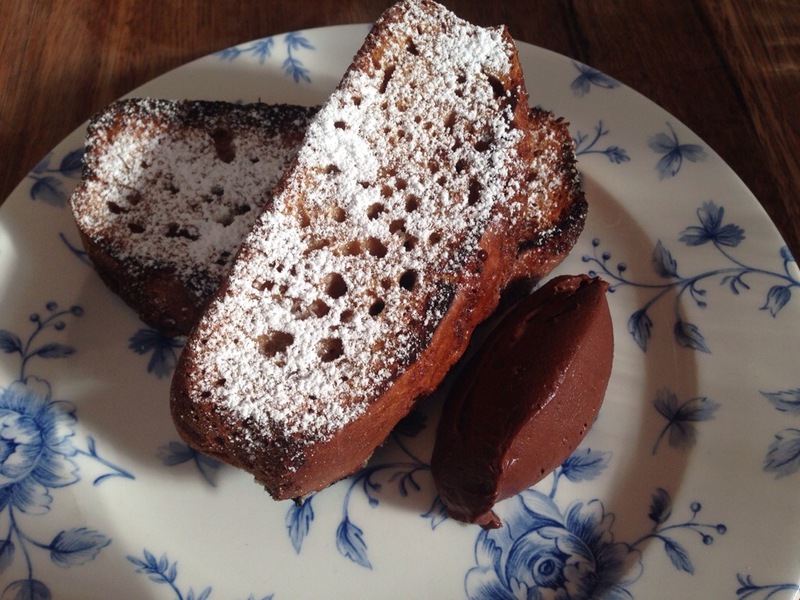 We shared a beautifully toasted banana bread with a rich chocolate mascarpone. The bread was moist, and arrived hot with delectably crispy edges. The only downside was that the banana flavour was a little overwhelmed with cinnamon. This coconut rice pudding has to be one of the more unique breakfasts we’ve tried in Perth at the moment. It was a large serving of creamy, coconut-y goodness. 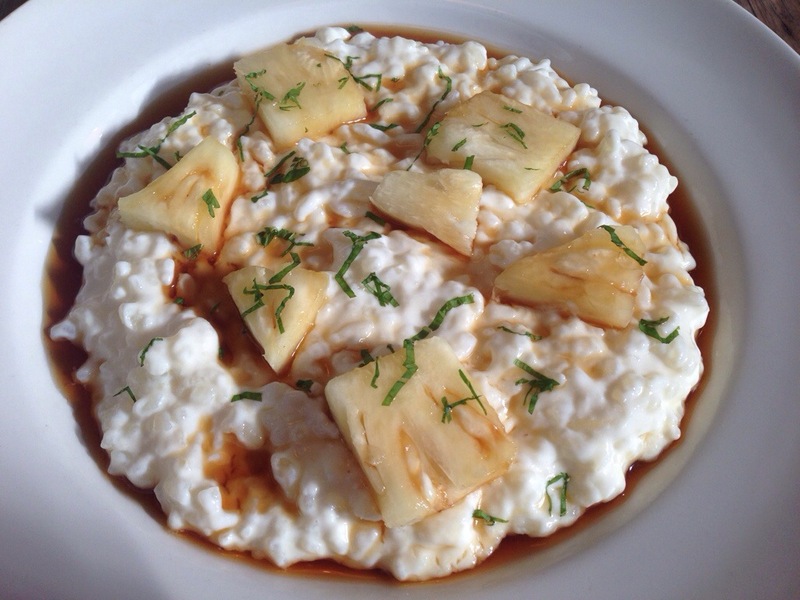 The rice was soft, without disintegrating and the bursts of pineapple added a tart hit, that cut through the creaminess. A hint of lime tied the whole dish together. The rich tomato dish is really in vogue at the moment, and this is no exception. 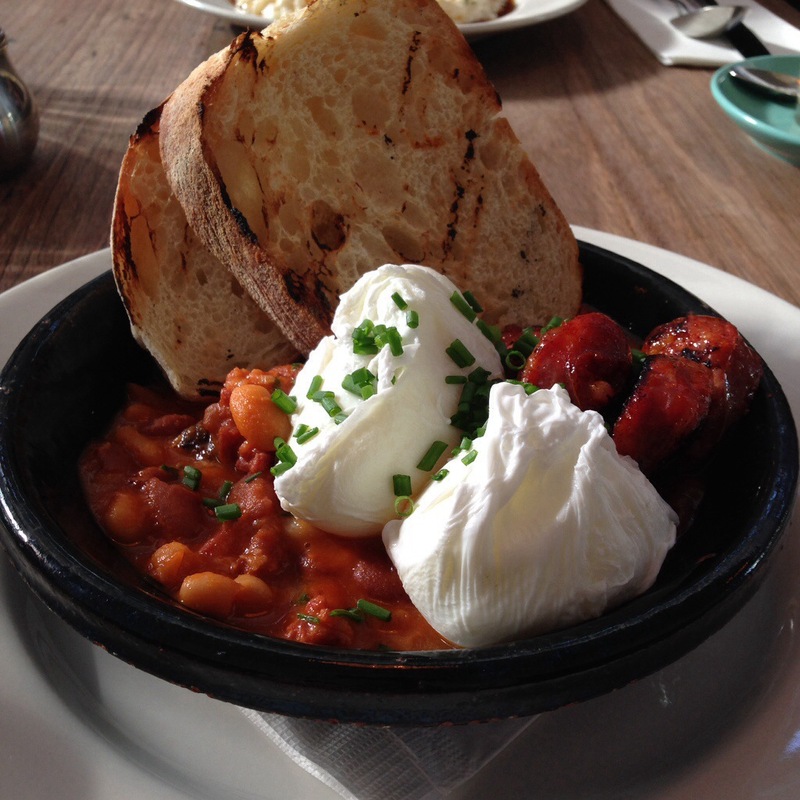 Combining a tomato base, chorizo, poached eggs and grilled toast, this dish was a prime example of the meaty breakfast. The eggs were poached well but could have been a tad runnier, while the bread was good but not essential it was fun to dip. The chorizo was the best part, moist and full of flavour that exploded in your mouth! Gordon St Garage continues to impress, if you haven’t made it there yet, we encourage you to do so if only to sample their fabulous coffee! Love GSG, the panacotta and pizzas are damn good!